Request a quote for Plastic Revolving Ball Knob today. 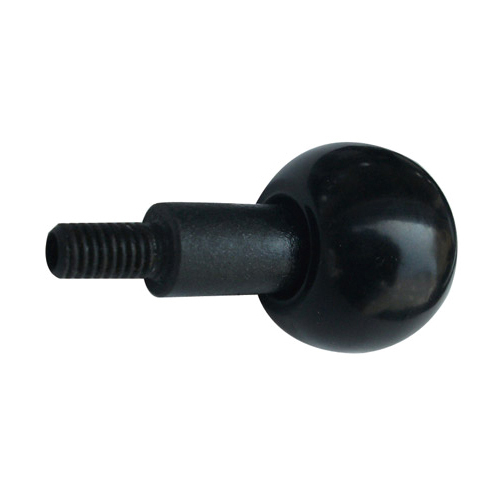 This revolving ball knob from JBF National is manufactured from the highest quality black dyed steel spindle, and black bakelite handle. The oversized ball knob allows for ultimate palm engagement and the permanently lubricated spindle ensures operator comfort and handle longevity. Features standard hexagonal moutning hole. Please see component diagram below.